Grisel is a first generation-immigrant, born in Mexico. She is an attorney at the Immigrant Legal Resource Center. Prior to joining the ILRC, Grisel was a litigation association at Pillsbury Winthrop Shaw Pittman LLP. Before Pillsbury, Grisel received the Stimson Fellowship to head a project jointly housed at the Immigration Law Clinic at UC Davis School of Law and the California Rural Legal Assistance Foundation, through which she co-founded “Know Your Rights” programs at two ICE-contracted facilities. Grisel graduated from the University of Chicago Law School where she received the Tony Patiño Fellowship, and she currently lives in San Francisco, California. She received a 2014 Fun, Fearless Latina Award from Cosmo Magazine for her work with CIVIC. Michael Kaufman is a senior staff attorney and the deputy director of advocacy at the American Civil Liberties Union (ACLU) of Southern California. He joined the ACLU SoCal in 2010 as a Stanford Public Interest Law Fellow in the Immigrants’ Rights and National Security Project. His active cases include the U.S. Supreme Court case, Rodriguez v. Jennings, a long-standing class action suit that challenges the government’s authority to detain immigrants for prolonged periods without a bond hearing; and Hernandez v. Sessions, a challenge to immigration bond procedures that fail to include consideration of ability to pay and non-monetary conditions of release. Michael also was the primary ACLU attorney working with us during the government’s suspension of affiliated visitation programs in 2013, and he has supported Freedom for Immigrants whenever our staff or members have been retaliated against by ICE. Prior to joining the ACLU, Michael was a Skadden Fellow at the Lawyers Committee for Civil Rights in San Francisco, where he directed a project to empower and advance the rights of domestic workers in the Bay Area through direct legal services, education, and policy advocacy. Michael clerked for Judge Sidney R. Thomas of the 9th U.S. Circuit Court of Appeals. He graduated from Stanford University and earned his J.D. from Stanford Law School, where he graduated with distinction and was a Senior Public Interest Fellow. He is based in Los Angeles, California. Sara Weiss is a Senior Editor at Ballantine Books, Random House, where she edits a wide range of fiction and nonfiction titles. Previously, she was an Editor at Grand Central Publishing, an imprint of Hachette Book Group. Sara holds a BA in English Language and Literature with a minor in Art History from the University of Chicago. She is a member of Echoing Green’s Social Investment Council, and she currently lives in Brooklyn, New York. Jon is the Director of Programs & International Development at Builders of Hope. In addition to his work at Builders of Hope, Jon also co-founded iBuild Global and manages the deployment of the iBuild app and services into new markets. Prior to Builders of Hope, he served as a Senior Managing Consultant at IBM within their Public Sector Strategy and Analytics department where he specialized in project management, strategic planning, data analytics, and process improvement. He worked with diverse clients, including the United Nations, the U.S. Department of State, and various other governments helping them to overcome logistics challenges. He graduated from Colby College in 2008 with a BA in International Economics. He has a high degree of enthusiasm for addressing problems associated with social inequality, economic sustainability, and extreme poverty. Her currently lives in Boston, Massachusetts. 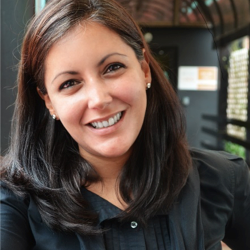 Lorena García Durán is the Director for the Ashoka Support Network in the US. She joined Ashoka in 2008 and has been leading partnerships between social and business entrepreneurship since then. She launched Ashoka in Miami back in 2009 making it the Latin American hub for all Ashoka efforts. To date Miami is one of the unique cities in the world that host two Changemaker Campus and the largest community of business entrepreneurs supporting Ashoka’s work in the US. She is Board member of Imperative Fund, an impact investment fund that is sustainably helping communities get out of poverty, in 5 years or less, while recovering 100% of invested funds and generating market competitive returns. In her international role with Ashoka, Lorena has advised more than 50 leading social entrepreneurs with a special focus on scale across countries. While in Mexico she co-lead the largest philanthropic program in the country named “Iniciativa Mexico” which brought together for the first time the major communication corporations to invest in the largest economic figure in the social sector in the history of Mexico. Before joining Ashoka, Lorena worked in the private sector as an Executive Director for an international textile company. During her time in Spain, she developed and achieved the important sale of organic coffee from Chiapas, Mexico in a prestigious chain of stores “El Corte Ingles.” She faced the problems between small farmers and the social and private sector relationships, and she brought innovative solutions to improve trade. Lorena has a degree in Audiovisual Communications at the Universidad Pontificia de Salamanca, Spain. She also studied French at La Sorbonne in Paris, France and has lived in four different countries since she turned eighteen. Erwin Chemerinsky is the Dean of Berkeley Law at the University of California, Berkeley. He serves on the Board of Directors as an honorary member. Previously, he was the founding Dean and Distinguished Professor of Law, and Raymond Pryke Professor of First Amendment Law, at the University of California, Irvine School of Law, with a joint appointment in Political Science. Previously, he taught at Duke Law School for four years, during which he won the Duke University Scholar-Teacher of the Year Award in 2006. Before that, he taught for 21 years at the University of Southern California School of Law. He also has taught at UCLA School of Law and DePaul University College of Law. His areas of expertise are constitutional law, federal practice, civil rights and civil liberties, and appellate litigation. He is the author of eight books, including The Case Against the Supreme Court published in 2014, and more than 200 articles in top law reviews. He frequently argues cases before the nation’s highest courts, including the United States Supreme Court, and also serves as a commentator on legal issues for national and local media. He writes a weekly column for the Orange County Register, monthly columns for the ABA Journal and the Daily Journal, and frequent op-eds in newspapers across the country. In January 2014, National Jurist magazine named him as the most influential person in legal education in the United States. Erwin holds a law degree from Harvard Law School and a bachelor’s degree from Northwestern University. Bill Ong Hing is a Professor of Law at the University of San Francisco and Professor Emeritus, U.C. California, Davis School of Law. He teaches Immigration Policy, Rebellious Lawyering, Negotiation, and Evidence. He serves on the Board of Directors as an honorary member. Throughout his career, he has pursued social justice by combining community work, litigation, and scholarship. He is the author of numerous academic and practice-oriented books and articles on immigration policy and community lawyering. His books include Ethical Borders—NAFTA, Globalization and Mexican Migration (Temple Univ. Press 2010); Deporting Our Souls—Values, Morality, and Immigration Policy (Cambridge Univ. Press 2006), Defining America Through Immigration Policy (Temple Univ. Press 2004), Making and Remaking Asian America Through Immigration Policy (Stanford Press 1993), Handling Immigration Cases (Aspen Publishers 1995), and Immigration and the Law—a Dictionary (ABC-CLIO 1999). His book To Be An American, Cultural Pluralism and the Rhetoric of Assimilation (NYU Press 1997) received the award for Outstanding Academic Book in 1997 by the librarians’ journal Choice. He also was co-counsel in the precedent-setting Supreme Court asylum case, INS v. Cardoza-Fonseca (1987). Professor Hing is the founder of, and continues to volunteer as General Counsel for, the Immigrant Legal Resource Center in San Francisco. He serves on the National Advisory Council of the Asian American Justice Center in Washington, D.C. He serves on CIVIC’s Board of Directors as an honorary member. Sarah Shourd is a writer, educator and an advocate against the use of prolonged solitary confinement, and she currently is based in Oakland, California. Sarah had been living in the Middle East for over a year, teaching Iraqi refugees and living in a Palestinian refugee camp in Syria, when she was captured by Iranian forces somewhere along an unmarked border between Iran and Iraq in July ’09 and held in solitary confinement for 410 days. Sarah has written for The New York Times, CNN, Newsweek’s Daily Beast and has a blog on Huffington Post. Sarah also has written a memoir with her husband Shane Bauer and friend Josh Fattal about their experience as hostages in Iran. Her memoir, A Sliver of Light, was published by Houghton Mifflin Harcourt in 2014. Learn more about why Sarah is passionate about ending the isolation of immigrants in detention in this 3-minute interview with Freedom for Immigrants.